Best and fastest tires on the market in my experience. Great puncture resistance too. Super fast, super fragile (race day only) and not easy to get seated when setting up tubeless (gave up and used a latex tube). Wouldn't choose any other tyre for race day though. 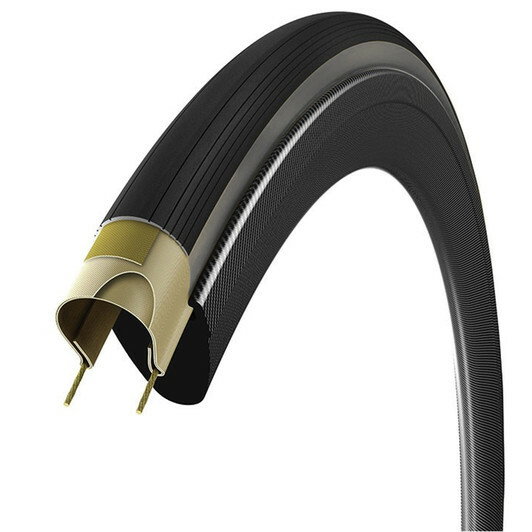 Easier to fit than previous Tubeless tyres; dramatic improvement in performance. Too soon to comment about puncture resistance, but looks to be wearing well. I put about 850 miles on a pair of the Corsa + gum wall tire. I loved them so much but with every flat I was destroying my hands and tire levers trying to get them onto my tubeless ready rims. The setup to tubeless was very easy and being able to ride my favorite tire without the worry of a puncture is very nice. Great tire, just wish it came in a 25!